Your electric panel is Command Central for the electrical system in your home. 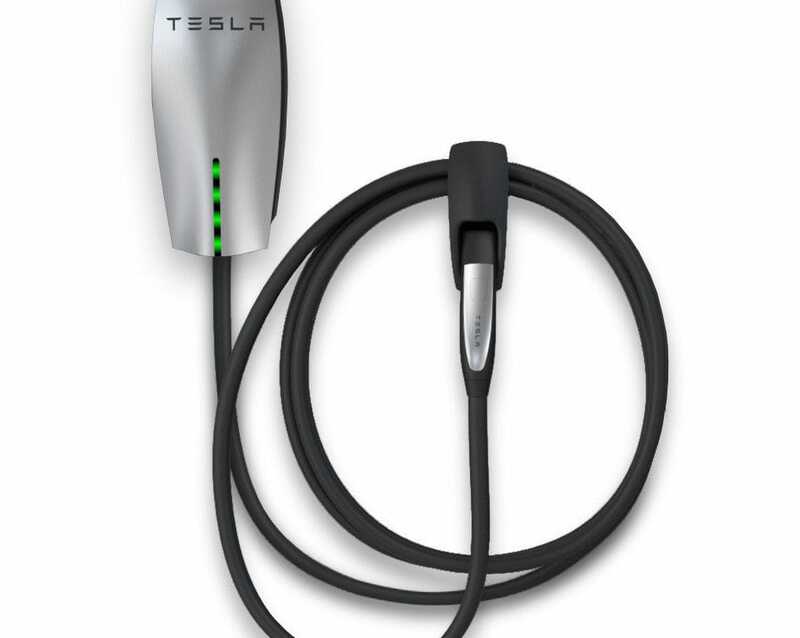 From there, power may be turned on and off and sent to outlets throughout your residence. Also known as a breaker box, the panel contains breakers or fuses which will “trip” or “blow” in response to a short or over current. A panel’s capacity is measured in amps. 60 amps used to be the norm for residential electricity needs. 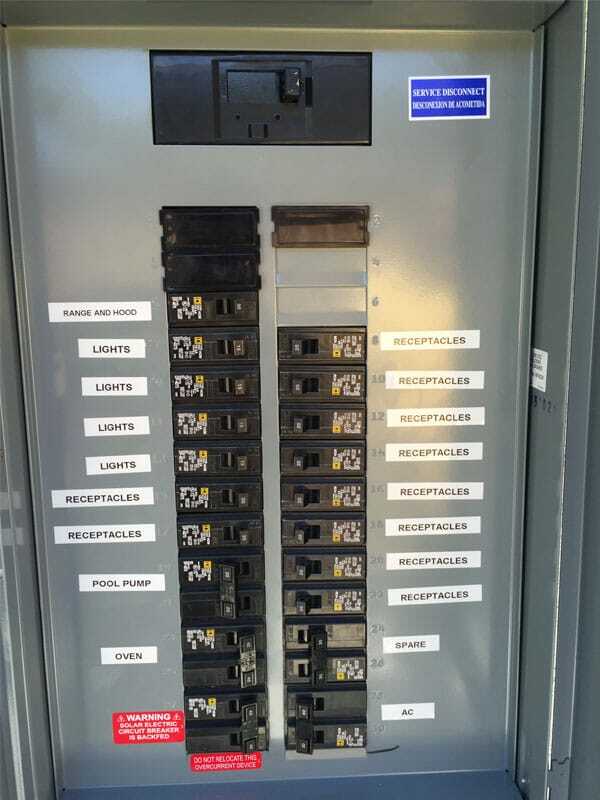 However, with today’s plethora of supersized appliances and electronic devices undreamed of just a few decades ago, chances are that you may need to upgrade your old breaker box. There are four obvious indications that the time to replace your electric panel has come. First, your homeowner’s insurance may demand installation of a new panel. Second, frequent bugs in the electrical system such as breakers tripping, fuses blowing, or lights that flicker or rapidly burn out are all signs of trouble. Third, you could be planning to add significantly to the load which your current panel needs to deal with — for example via a remodel that will increase your home’s square footage, purchase of a major appliance or electronic system, use of a transfer panel for connection of a backup generator, or installation of electric-powered home spa equipment such as a hot tub. Finally, you may want to put your home up for sale, at which point upgraded electrical capacity in the kitchen and bathrooms might be a selling point that will add value to your home or help you to find a buyer more quickly. Today’s electrical panels come in amperage of 100 (the minimum presently allowable), now they can range from 150, 200, or 400. This can be determined by performing a home energy audit and/or measuring with a special electric metering system called a power analyzer. You may need other upgrades as well — for instance, repair or replacement of the existing wiring, arc-fault circuit interrupters (AFCI) for sleeping rooms, surge protectors and ground fault circuit interrupters (GFCI) for areas in your home where electric tools or appliances are likely to come into contact with water. 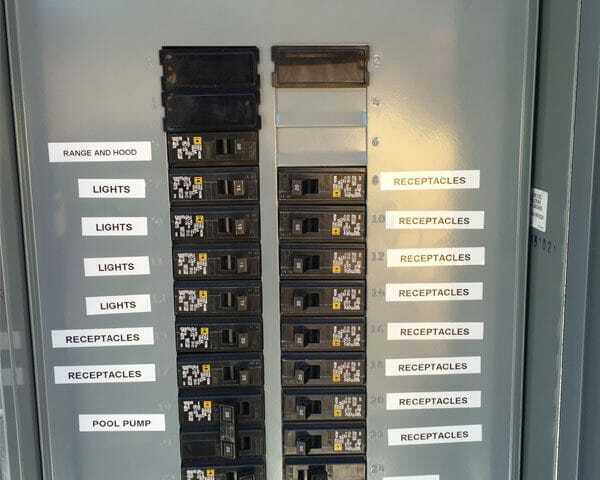 Your electrical panel upgrade cost will vary according to the amperage, the price of a permit if necessary, and any additional work or equipment that is required. It will be entirely up the the inspector to determine whether your panel can stay in the same location, have to be risen or relocated. These are all things that will factor into the project before you can upgrade. The No. 1 motivation to upgrade an electrical panel is safety. Although you may hear stories of panels from 30 years ago — or even longer — that are still functioning, they do not and cannot offer the same level of protection from overcurrent and overload as modern panels. There is a reason why the National Electric Code is issued by the National Fire Protection Association and updated every 3 years — to ensure the safety of everyone in your home. In addition to the NEC, local amendments to code should also be taken into consideration. The complex and dangerous job of electrical panel upgrade should be done only by a qualified electrical contractor. It is simply too risky to try to do it yourself. Although it is usually not necessary to submit detailed plans of your project, a local building permit will normally be required. In fact, many areas will issue a permit for this type of work only to a licensed Master Electrician. Repost and credit : Laura Firszt writes for networx.com. 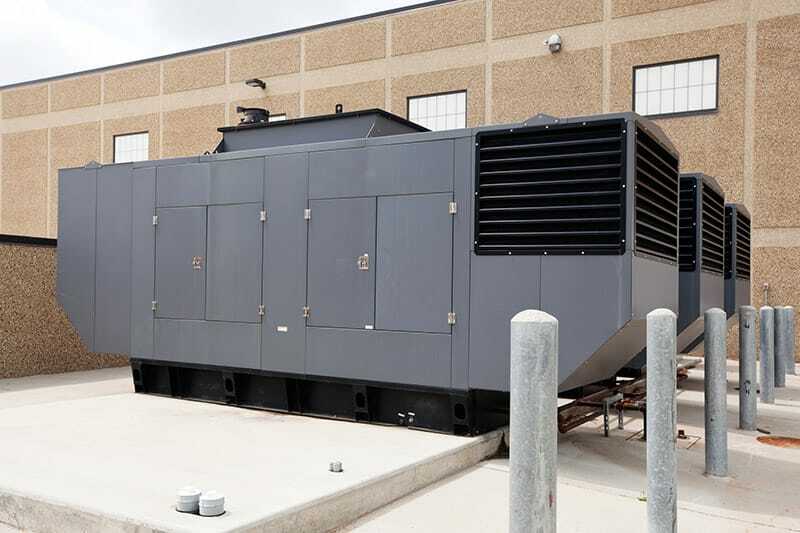 Big Industrial Backup Generator for Office Building.Standby Generator. 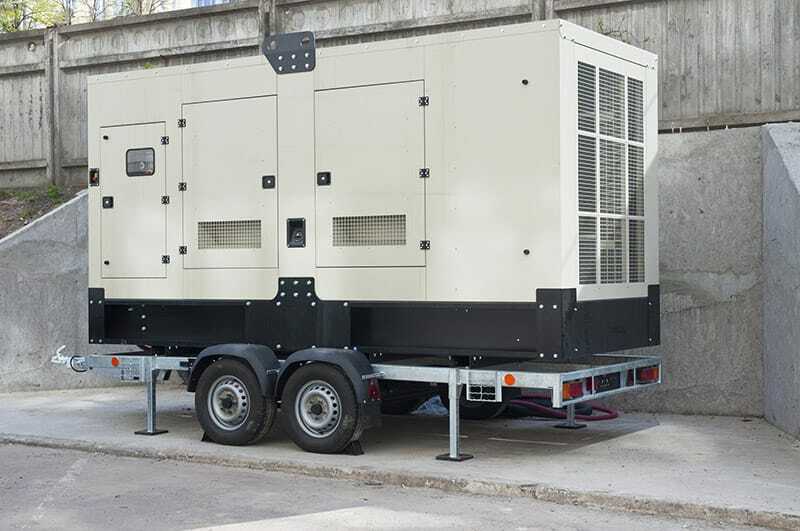 Three large industrial emergency power standby generators. 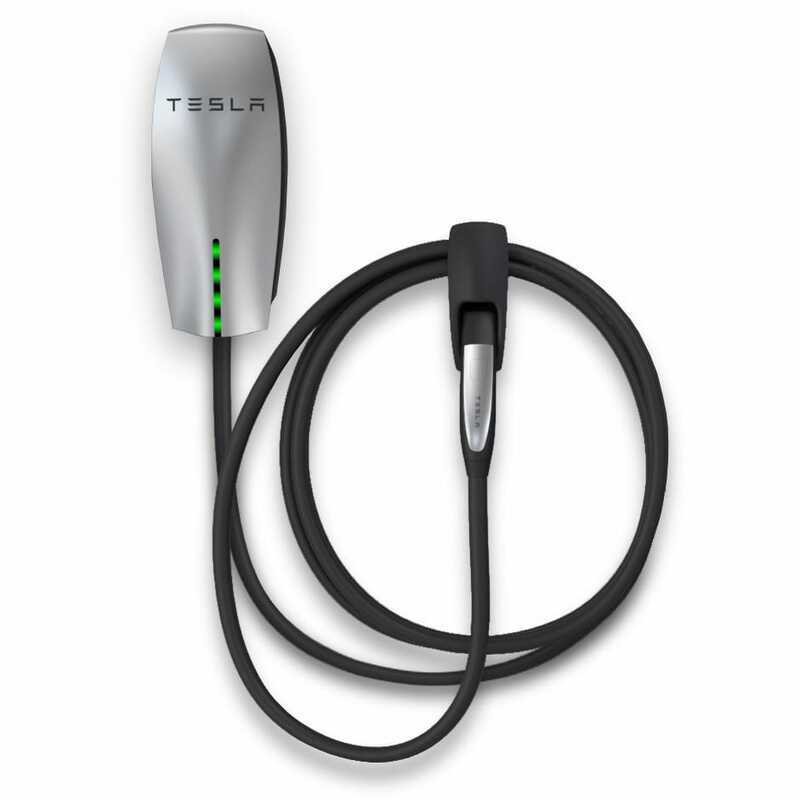 This configuration could power a large facility such as a hospital, school even a small city. The concrete pad in the left foreground is space for an additional generator.